63% of searchers will click on a result on the 1st page of Google listings, and just 23% will click through to the 2nd page. 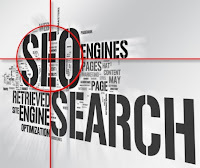 Getting your site in a top position in Google search rankings has never been so important. So, what’s the best way to optimise your site so that it gets the top ranking it deserves? As ever in SEO, content is king. It’s undeniable that results come directly from great quality content. Article Marketing is right at the heart of this concept- and leads to quality content from you being promoted and distributed all over the web. You’ll benefit from not only more traffic, but more highly targeted visitors, higher visibility in Google and certainly more interest in your products or services. It all starts off with a high-quality article. The best articles offer something to the reader- perhaps advice (for example, a home improvement company might offer tips about redecorating) or a tutorial (a florist might offer a guide on how to preserve the life of flowers) - or anything, really, that is of interest or adds value to the reader. These are the articles that promote your company, and its services or products the most effectively. To get the best results, the article is then taken and, by using only entirely human copywriters along with a specialist licensed software tool, promoted and distributed with unique versions of your content being submitted all across the web. Every time your articles are published, your site will benefit from a backlink, in addition to your company details appearing next to every publication. What’s more, you can re-use the content in the articles for blog posts, Tweets, or Facebook updates. It’s pretty simple really- and above all, a great illustration of the importance of quality content when it comes to online marketing. Minimal effort, low-cost and proven results- is article marketing an SEO technique your business can afford to ignore?